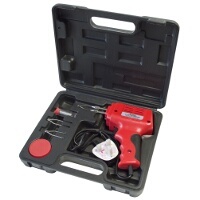 Find the very best soldering guns at great prices here at Euro Car Parts - all available with free UK delivery and a 365-day returns policy. 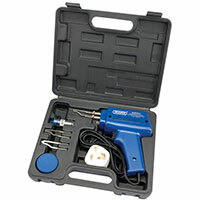 A good soldering gun is something to look after. Once you have one that works and you can rely on, you won't want to use another one! Of course, sometimes they do come to the end of their usable life. So if you need to replace a soldering gun, or if you're buying one for the first time, look no further than Euro Car Parts. We sell the very best examples at fantastic prices, incorporating some of the most respected brands in the trade. All the products here come with free UK delivery. However, if you need the item in a hurry, you can select our next-day express delivery service, or even click and collect your purchase from any one of our 200-plus UK stores. Often, this is a same-day service. If you're buying a soldering gun, don't forget that we also do a great range of soldering accessories to complement your purchase and keep your project on track.